Your Bibliography: 27gen.files.wordpress.com. (2015). [online] Available at: https://27gen.files.wordpress.com/2014/12/7-guest-service-guidelines.jpg [Accessed 13 May 2015]. Your Bibliography: Bogun, H. (2015). 10 Benefits of Good Customer Services « Broadcast Systems Integration « Broadcast Systems Integration. [online] Broadcastsystemsintegration.com. Available at: http://www.broadcastsystemsintegration.com/1011/10-benefits-of-good-customer-services/ [Accessed 14 May 2015]. Your Bibliography: Businesscasestudies.co.uk. (n.d.). Methods of communication - Getting the message across - the importance of good communications - HMRC | HMRC case studies and information | Business Case Studies. [online] Available at: http://businesscasestudies.co.uk/hmrc/getting-the-message-across-the-importance-of-good-communications/methods-of-communication.html#axzz3aBtRAJCw [Accessed 15 May 2015]. Your Bibliography: Cockerell, L. (2015). 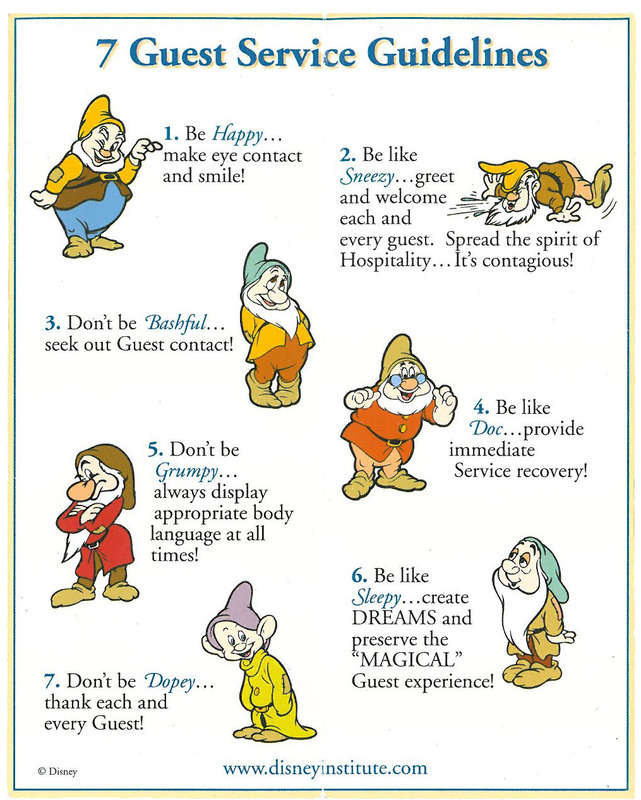 Seven Service Guidelines. [Blog]. Your Bibliography: Disney Wiki. (2015). Dopey. [online] Available at: http://disney.wikia.com/wiki/Dopey [Accessed 12 May 2015]. Your Bibliography: Kellyservices.com.au. (2015). A Guide to Effective Customer Communication | Kelly Services Australia. [online] Available at: http://www.kellyservices.com.au/AU/Careers/my-Career-Centre/A-Guide-to-Effective-Customer-Communication/#.VVWeds4xFE4 [Accessed 15 May 2015]. Your Bibliography: Referenceforbusiness.com. (2015). Communication in Organizations. [online] Available at: http://www.referenceforbusiness.com/encyclopedia/Clo-Con/Communication-in-Organizations.html [Accessed 15 May 2015]. Your Bibliography: Richards, L. (n.d.). Effective Communication in Customer Service. [online] Small Business - Chron.com. Available at: http://smallbusiness.chron.com/effective-communication-customer-service-4806.html [Accessed 15 May 2015]. Your Bibliography: Skills.sa.gov.au. (2015). Benefits of training your staff | Skills for All. [online] Available at: http://www.skills.sa.gov.au/for-employers-business/training-your-staff/benefits-of-training-your-staff [Accessed 13 May 2015]. Your Bibliography: Smith, C. (2013). 15 Ways to Set and Meet Customer Expectations. [online] Plum Voice. Available at: http://www.plumvoice.com/resources/blog/15-ways-set-meet-customer-expectations/ [Accessed 15 May 2015]. Your Bibliography: Thedisneyblog.com. (n.d.). 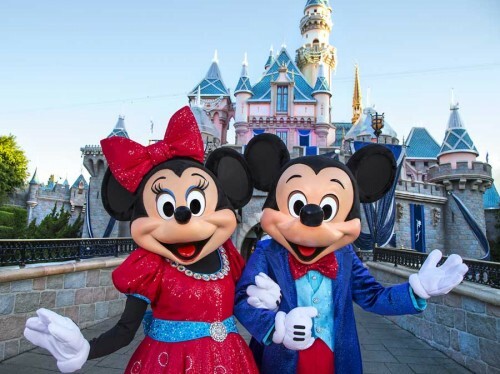 [online] Available at: http://thedisneyblog.com/wp-content/uploads/2015/04/Mickey-and-Minnie-dl-500x374.jpg [Accessed 13 May 2015].